"The definition of a master is: "a person eminently skilled in something, as an occupation." 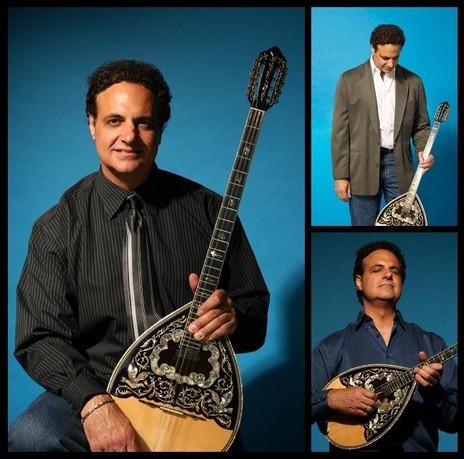 This would clearly define and describe Bouzouki master Alex "Alekos" Galas. What further defines Galas is his ability to take the instrument beyond its usual boundaries. Galas, who is well known in this genre as a performer who embellishes many groups and performances, has now emerged with his own singular voice. What I define as singular is - Galas has taken Bouzouki to a new level of musicality. Galas fuses the traditional sounds of the instrument along with the pop sensibilities of Adult-Contemporary and Smooth-Jazz genres to create a delightfully commercial sound that still keeps its organic and traditional sensibilities." Carmel DeSoto for Yahoo!